"Never Turn Your Back on the Past"
This movie is set in the year 1868. It depicts a personal tragedy that sets two friends at odds. One man is filled with guilt while the other is filled with vengeance. The men play a game of cat and mouse and many more deaths will take place before the game is over. The story takes the viewer on a series of events full of twists and turns as one man attempts to survive and the other man is focused on killing. Lethal force is the objective and no one is above being a recipient, not man nor beast. This film provides a good example of the necessity in life of finding closure, and points out that without closure a person is rendered helpless in being able to move on peaceably through life. 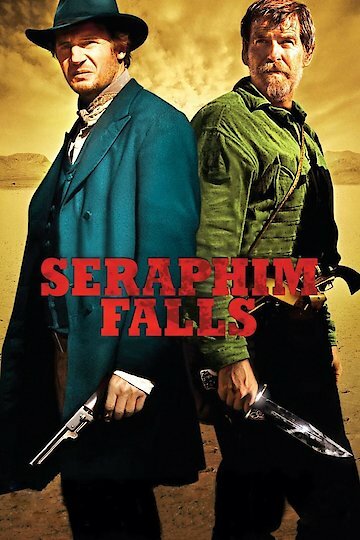 Seraphim Falls is currently available to watch and stream, buy on demand at Vudu, FandangoNow, iTunes, YouTube VOD online.